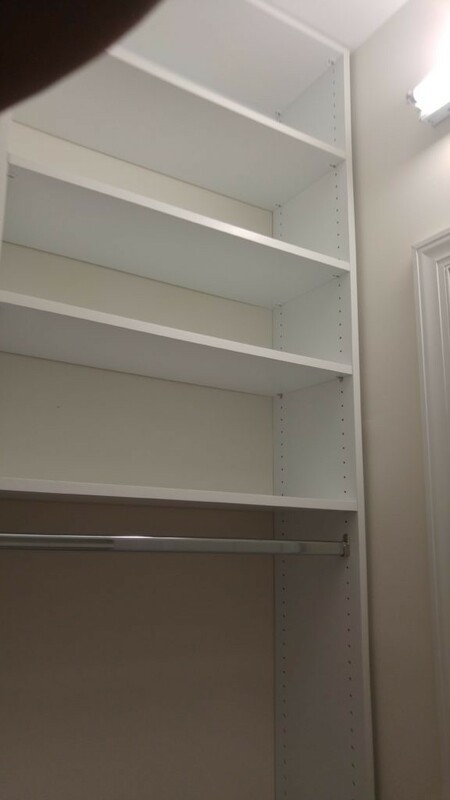 Example of Closet Shelves installed by Just Closets of Northern Virginia. Shown here is a set of adjustable shelves with a rod underneath. The shelves could hold shoes, labelled boxes, folded sweaters, and more.